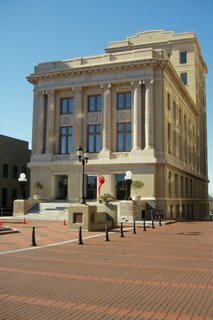 The historic Old Greenville County Courthouse building in Greenville, South Carolina, was built in 1918. Today it houses the M Judson Bookstore and The Chocolate Moose bakery. Greenville (pop. 61,000+) is located in the "Upstate" region of South Carolina. Here, Falls Park, which hugs the Reedy River, is a scenic parkland paradise of large waterfalls, scattered boulders, and manicured green spaces situated at the heart of a thriving central business district offering diverse restaurants, interesting shops, and luxurious hotels. A striking pedestrian bridge, a children’s downtown scavenger hunt for hidden bronze mice, and lots of shade trees also add to Downtown Greenville’s allure. 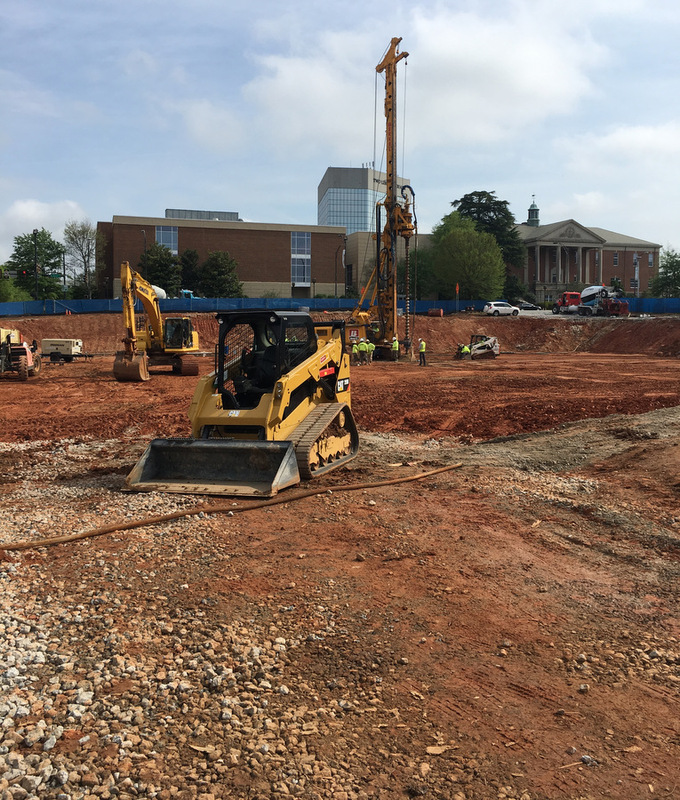 Despite its relatively small city population, Greenville has a metro population of around 851,000. M. Judson Booksellers & Storytellers is now open in the historic courthouse building next to the Westin Poinsett hotel on Main Street. The bookstore offers a blend of experiences that fits in well with the Main Street Greenville atmosphere – a carefully chosen selection of books for sale, a cafe for socializing – featuring items made from recipes in selected cookbooks. 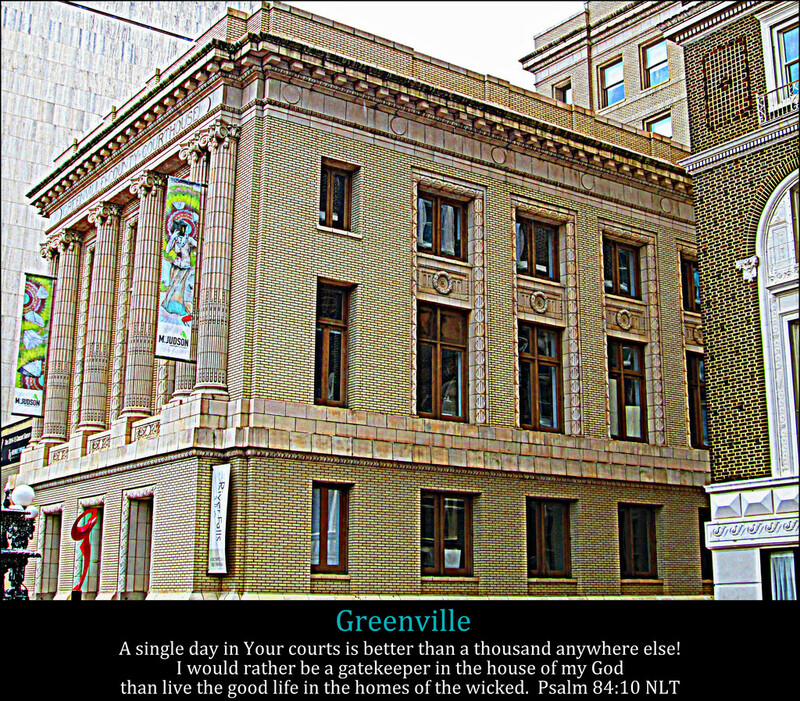 Today’s photo shows a plaque at the Greenville County Court House which indicates it was erected in 1916 .. for additional prespectives here are links showing the Greenville County Court House at sunrise, a photo of a bride posing on the court house steps, also a court house railing in the sunlight and a photo showing the Greenville Christmas tree being taken down. However in looking at my previous post I found it was all the way back to January of 2006 since I have shared a photo of the Court House by its self.